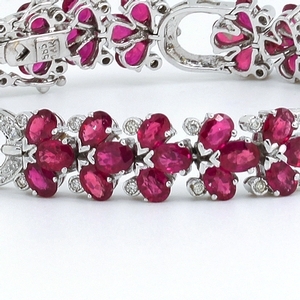 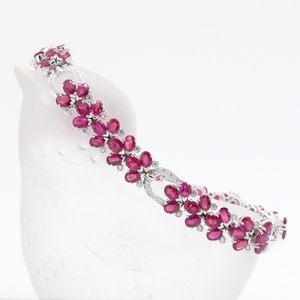 Ruby & Diamond Flexible Bracelet at Reliable Gold in Providence, RI Reliable Gold Ltd. Simply beautiful flexible bracelet with oval rubies, approximately 14.60 carats total weight, and round diamonds, approximately .55 carats total weight, in 18K white gold. 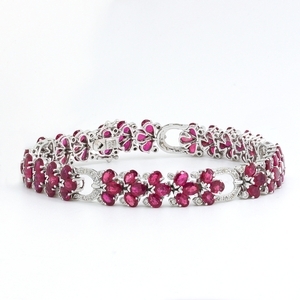 A bracelet that manages to be dainty and substantial at the same time!